At the end of World War II, the Allies confiscated German patents and made them available to the general public. 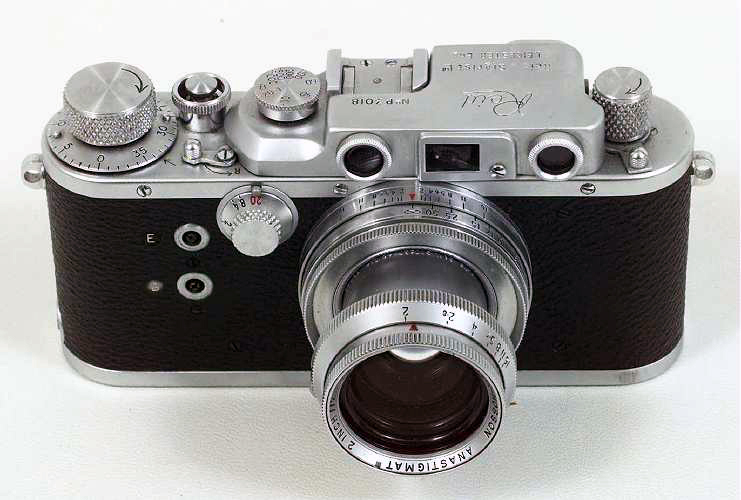 The British decided they needed a camera comparable to the Leica built in England for military reasons, having experienced a shortage of quality cameras during the war. They went so far as to take design drawings from the Leitz factory in Wetzlar. 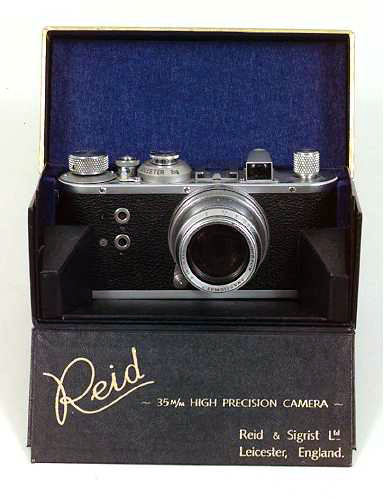 The company who produced the camera was Reid and Sigrist Ltd., a manufacturer of aircraft parts and precision instruments, based in Leicester. The Reid was announced in the May 1947, but was not really available until 1951. Production lasted until 1964, when Reid and Sigrist abandon camera production, and all remaining parts were sold to A.W. Young Ltd., who reputably assembled additional cameras from the existing stock of parts. Other additional cameras may have been assembled by another company Marston and Heard from additional parts. 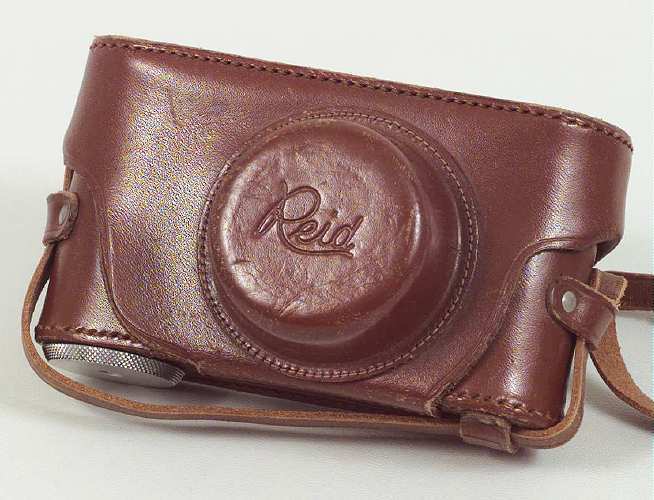 Two models of the Reid were marketed. 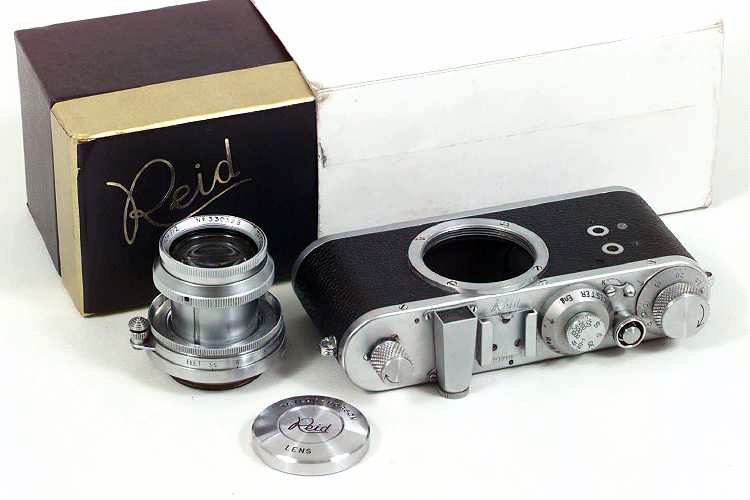 The first was the Reid III, which was a copy of the Leica III series, with coupled rangefinder and slow speeds. The earliest examples did not have flash synchronization, probably the first 200-300. The first 100-200 of the models with flash synch only had one plug. 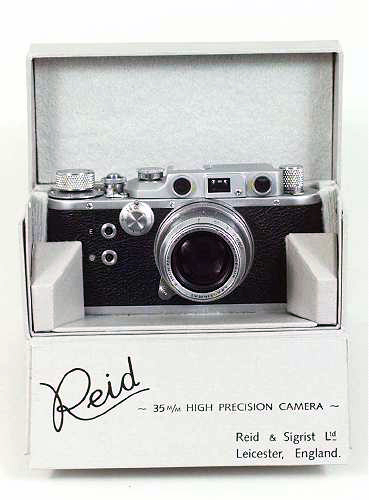 Total production of the Reid III was probably no more than 1600 units. 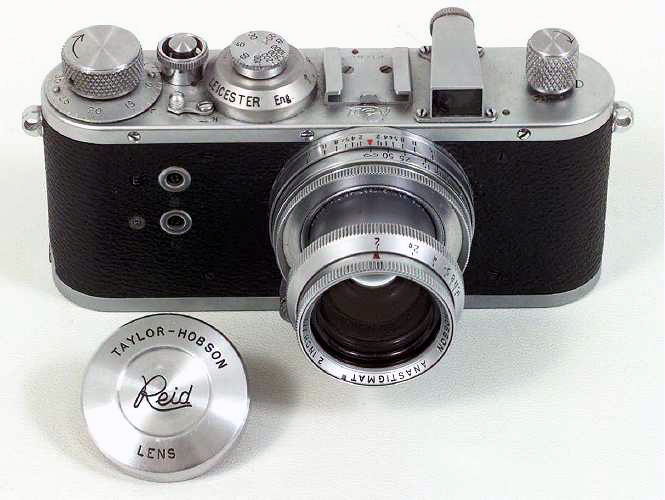 The second model of Reid was a simplified version lacking the rangefinder and slow speeds, a copy of the Leica E, except it has flash synch on the front like the Reid III. The Reid I was introduced in 1958, and although advertised as available to the public, none have been found without military markings. Only about 500 of these were manufactured. A third model of Reid was announced in 1959, but probably never put into production, although at least one example is known. The Reid II was to be a Reid III without slow speeds. The existing sample is believed to be an example of a camera assembled after production had ceased, possibly because of a lack of parts for the slow speed device, or because of it's complexity. A large percentage of the Reids built were sold to the British military, and carry military registration marks embossed in the back leather, and sometimes a thick short arrow, referred to as the "Broad Arrow", a symbol of the British military. 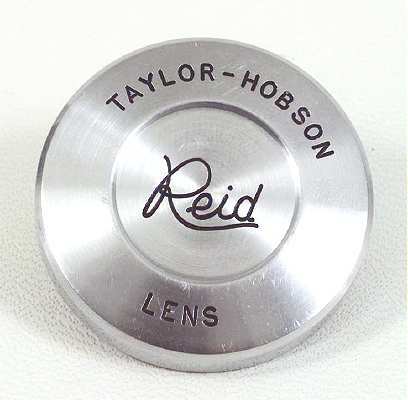 In addition, Reid I cameras have a number engraved on the front edge of the top plate. The only lens to be sold with the Reid was the 2" f/2 Taylor - Hobson Anastigmat, in collapsible barrel. A 50/3.5 lens was listed in 1949 advertising (two years before the camera was available), but was apparently never marketed. Most Reid cameras have a serial number preceded by the letter "P". There is at least one example of a pre-production camera with a serial number A1001, and a logo on the top with the block letter "RS" inside an oval, rather than "Reid" in the normal script. The camera differs from production units by having a screw head visible inside the slow speed dial like the Leica III, and lacking the lock on the slow speed dial. Recently a quantity of factory original boxes that had never been used surfaced on the collectable market. The boxes Reid cameras were supplied in were exceptionally well made, and of very nice design. Reid I and III cameras. Reid III with Taylor-Hobson Anastigmat lens. Reid I with Taylor-Hobson Anastigmat lens. 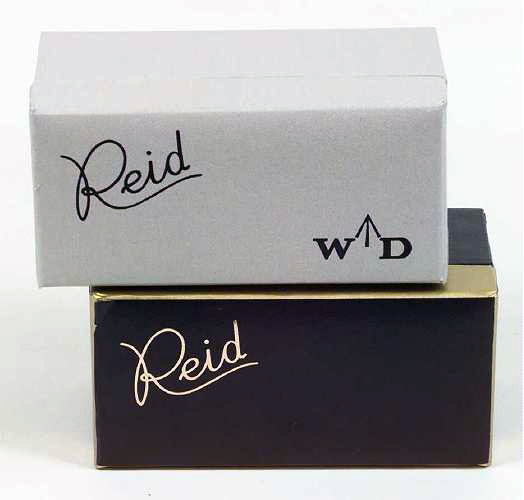 The Reid III and Reid I in boxes. As these boxes were purchased separately from the cameras, we don't know if the correct box style is matched to the correct camera. Reid I with Taylor-Hobson Anastigmat lens in front of the box with the wrapper it came in. Military numbers embossed on the back leather. Even the case and cap are of the highest quality.